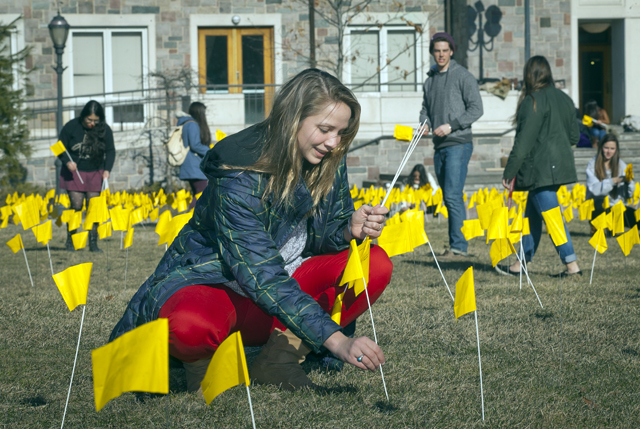 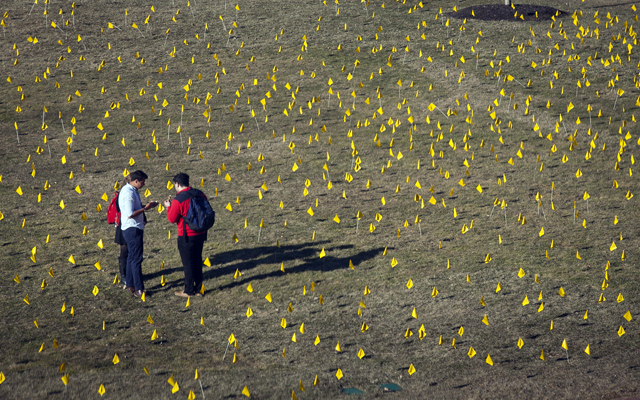 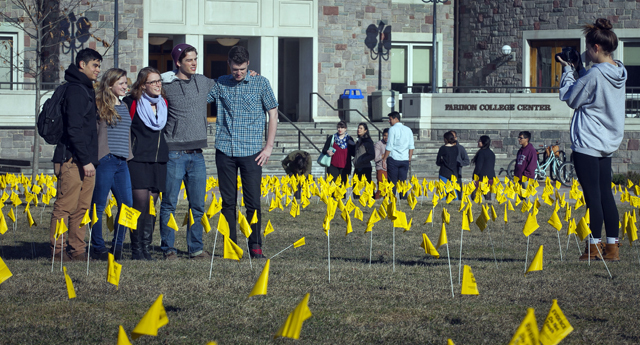 As part of Immigration Week, the Hispanic Society of Lafayette placed 2,500 forensic flags on the Quad. 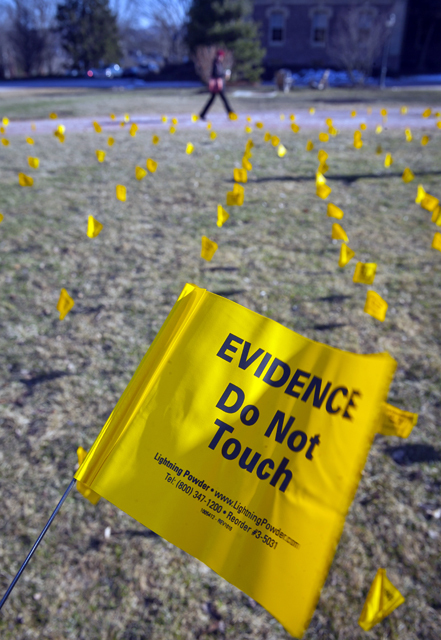 The flags, which are commonly used by border patrol agents who stumble upon remains of migrants, represent the number of deaths that have occurred along the US-Mexico border since 1999. 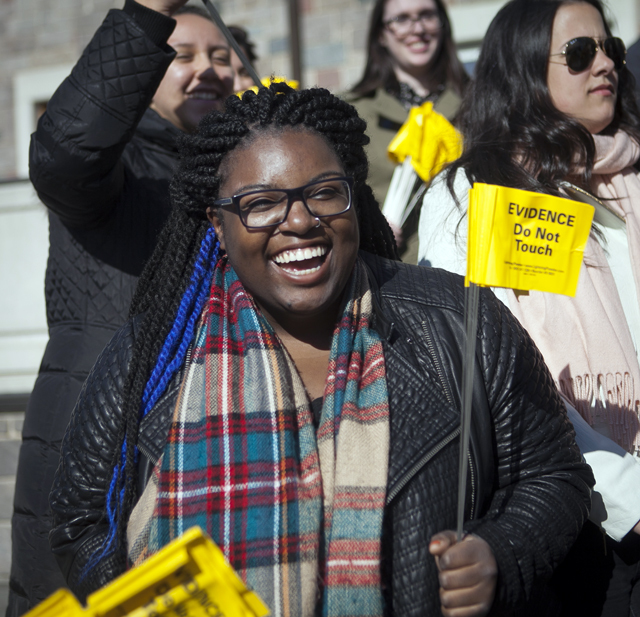 The week culminated with the Lehigh Valley Association of Independent Colleges’ Bridging the Gap conference in Kirby Hall of Civil Rights. 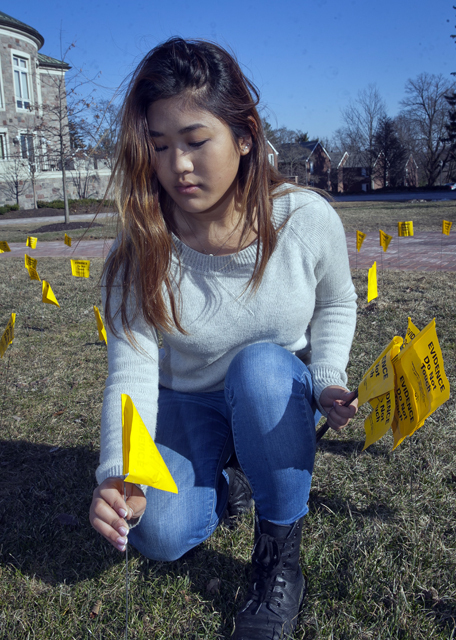 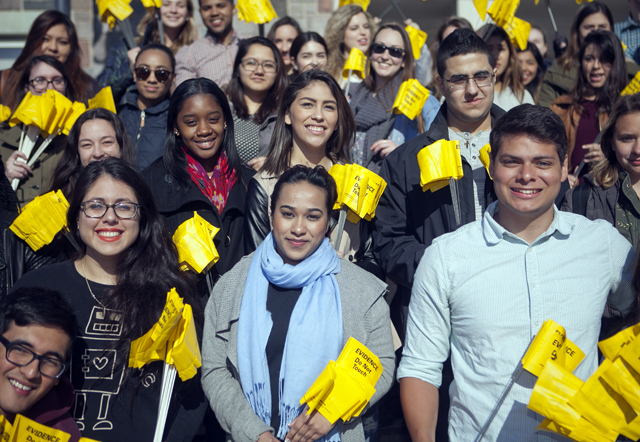 Following the conference, students followed several paths across campus to signify the difficulties migrants face when attempting to cross the border into the United States. 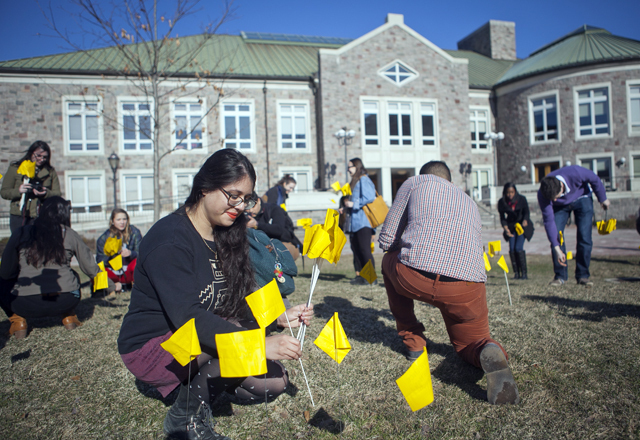 Then they symbolically removed the flags from the Quad.